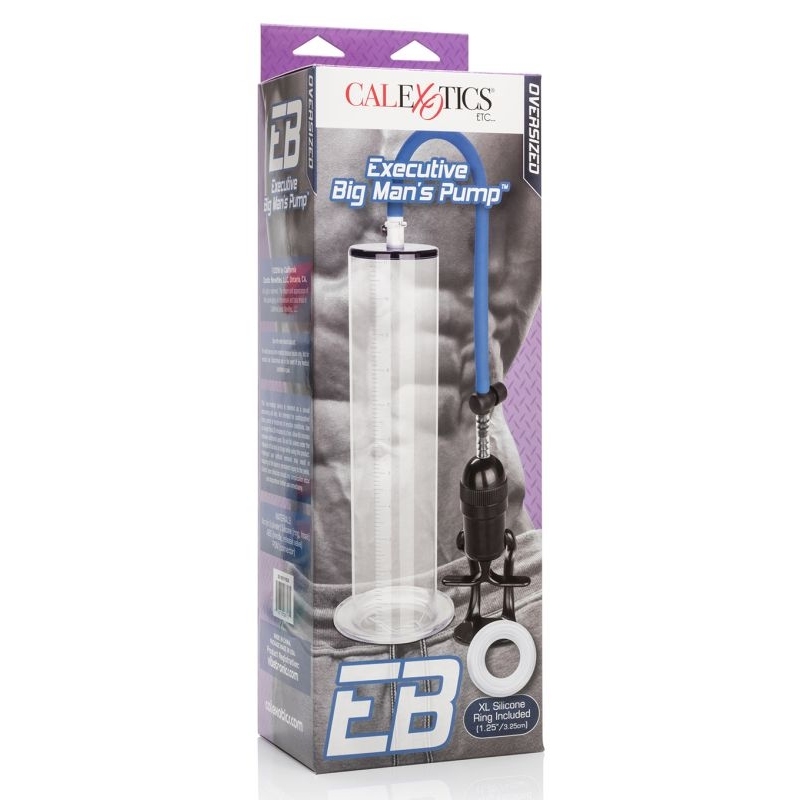 Super size your pleasure with the easy to use Executive Big Man's Pump. 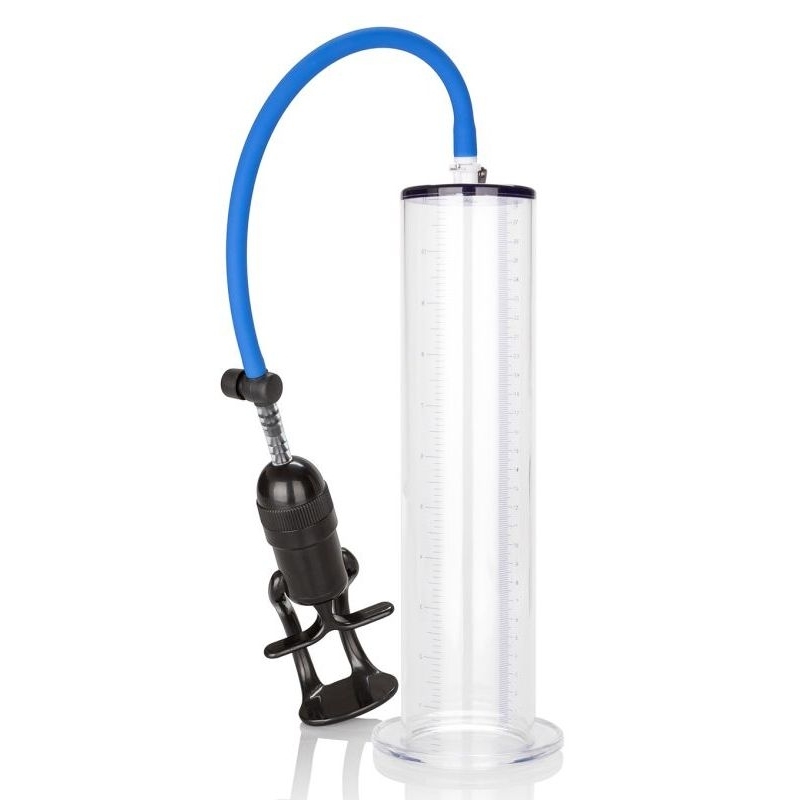 The heavy-duty, oversized cylindrical pump is designed to pump up your size for a longer lasting rock hard erection, and a peak performance every time. 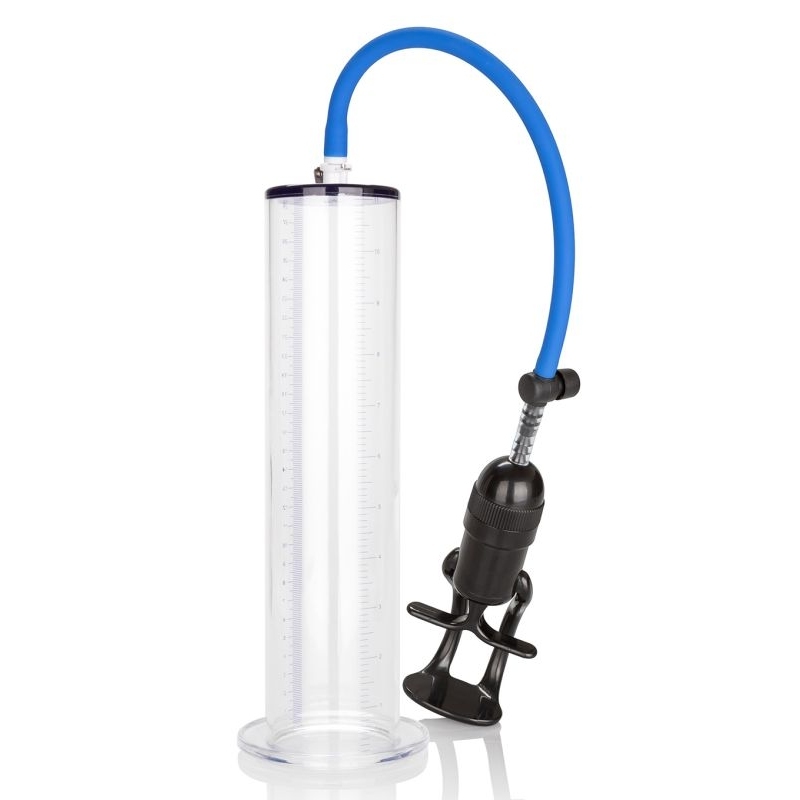 The pump includes a transparent acrylic cylinder, removable silicone hose with easy squeeze trigger handle, oversized squeeze bulb, and super stretchy enhancer ring. The quick air release valve gives you relief when you need it, and the flanged base provides the ultimate secure seal you need to maximize your pumping routine. Increase erection satisfaction by pumping up to your desired size. The comfortable to wear, super stretchy enhancer maintains the rock hard erection for elevated stimulation ecstasy. Before and after use, clean the pump with mild soapy water or a toy cleaner spray.